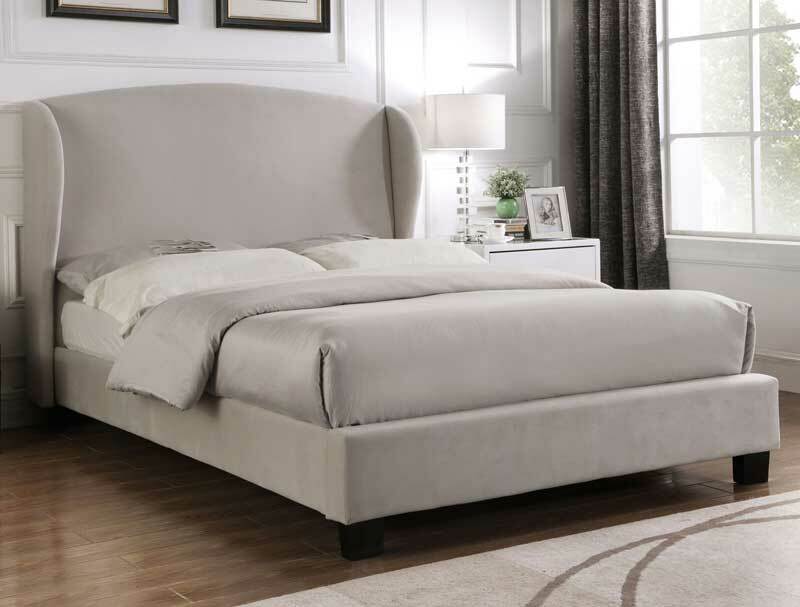 The Bletchley continues the theme of contemporary bed frames by offering a low foot end winged headboard in a light grey velvet. Certainly grey is very much in the in colour at the moment and this subtle grey colour frame can blend in with any bedroom decor. 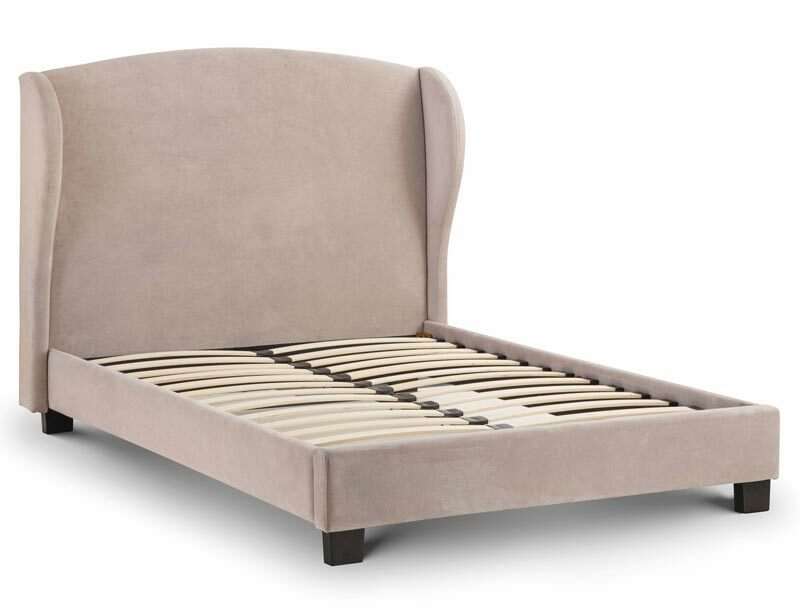 The Bletchley bed frame is supplied in Double or King size with a sprung slatted base. Like all Julian Bowen products this bed frame is delivered Free of charge to most areas in 7-10 working days. England, Wales and lower Scotland are free of charge, please note Central Scotland and Scottish Highlands and other postcodes like LL and SA will incur a delivery charge and an extended delivery period, for more information please see delivery page.